"Los escoceses han vuelto a dar en el clavo con una chaqueta a la que es dificil encontrar defectos. Consigue una excelente transpiración - gracias a la espalda y parte trasera de los brazos de tejido ventilado - a la vez que logra retener el calor y proteger del agua con eficacia. El diseño, calidad y atención al detalle son muy buenos, incluso es la más visible en el trafico gracias a su verde chillón y mũltiples reflectantes." “Ultrasonically welded and externally taped seams mean the Equipe Exo’s outer layer is completely protective against wind and water. 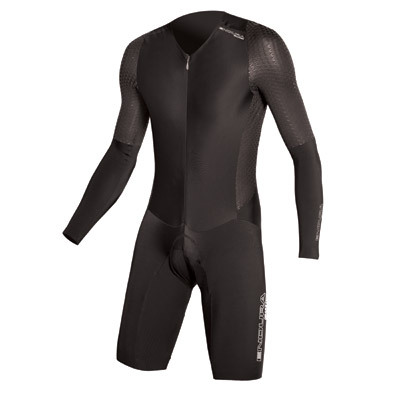 It’s soft and very compliant, and fits superbly... nothing gets through, and it’s very breathable, so can be worn with just a baselayer until near freezing. The main zip is asymmetric for comfort, and there are pockets aplenty: a rear zipped media pocket sits below a long, covered zip that accesses a three-way pocket, plus a waterproof chest pocket that contains a lens wipe. 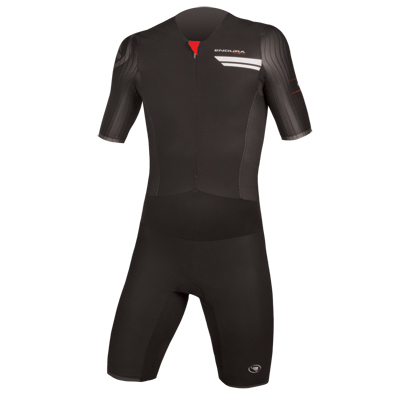 Internal cuffs allow the sleeves to overlap your gloves, and it’s very reflective too." "Met de sponsoring van onder andere team Movistar is het Schotse Endura steeds vaker in beeld. De Equipe heeft ultrasoon gelaste waterdichte naden, waterdichte vakjes en dit gecombineerde met een opvallende belijning. Een erg mooie afwerking dus... de mouwen zijn goed van lengte en sluiten erg goed aan in fietshouding. De achterzijde is ook lekker lang. Wel valt het jack rondom de romp redelijk ruim. De rits loopt asymmetrisch: geen kans op irritatie onder de kin dus... de combinatie van materiaal en pasvorm maakt dit jack erg prettig zittend. Het geheel is waterdicht met dank aan de getapete naden en het gebruikte materiaal. Dit jack van Endura is een stevig geprijsde ‘doorwerkjas’, maar de afwerking staat op een erg hoog niveau. Die prijs is dus wel te rechtvaardigen." "As the clothing supplier of two pro teams in NetApp-Endura and Movistar, Endura's performance clothing is becoming a force to be reckoned with. 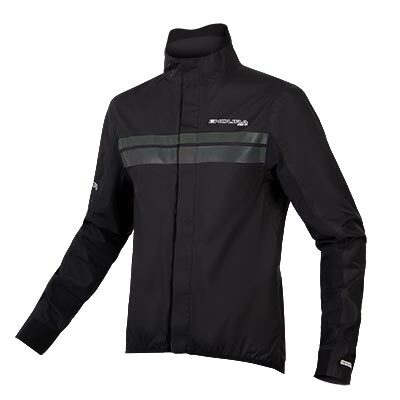 The Equipe Exo Jacket provides an athletic fit that affords comfort on the bike, and such details as an off-centre, ultrasonically welded zip, underarm vents, which can be zipped open or closed, and waterproof compartments strengthen its ergonomics yet further." "Was uns an der Equipe Exo so gefällt, ist die unglaubliche Robustheit. Die Jacke überlebte einen kapitalen Sturz (auf dem MTB) komplett schadlos. Auch die verschweißten Nähte sind toll und zudem kann die Jacke mit tollen Features glänzen. 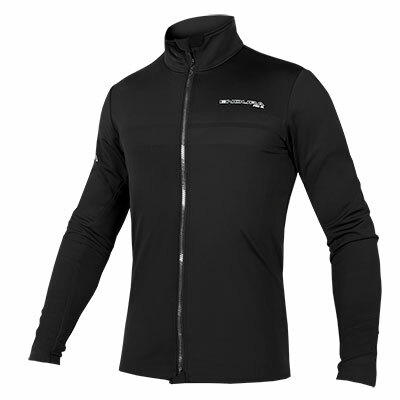 Die Passform ist ohne Fehl und Tadel.."
"If anything could be said to encapsulate the new endura in one garment, the exo softshell could well be it. a great deal of constructive thought has gone into this, and believe me, it has all paid off." 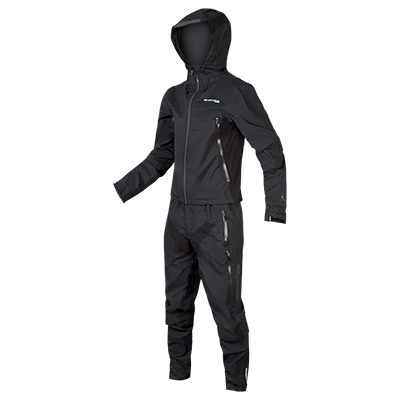 "Using a wind and waterproof shell fabric with a fleecy inner, the figure-hugging Exo keeps you dry in almost any weather. (...) Breathability is excellent..."
"The fit is snug and tight like a performance jersey and crucially this stops it billowing and flapping in the wind like some jackets do." "The..Exo keeps you dry in almost any weather. Most seams are glued and taped from the outside. 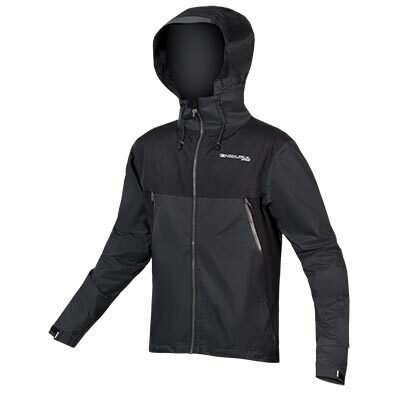 Technical features include waterproof zipped vents, a chest pocket with media port and glasses wipe, and compartmentalised rear pocket. Breathability is excellent and in our test riding there were no leaks.."
"Top of the range in the jacket department is the Exo Softshell, and first impressions were excellent. As soon as I put it on, this jacket felt great. 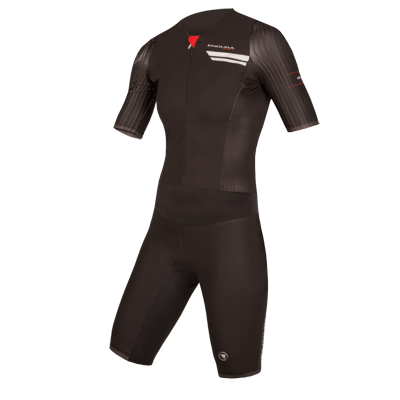 The cut is perfect, with a long back and short front ideal for most cycling positions. The fitting is close, and the fabric has a bit of stretch, so it's comfortable with no bagginess. Any piece of serious kit that flaps in the breeze, in my opinion isn't really serious."